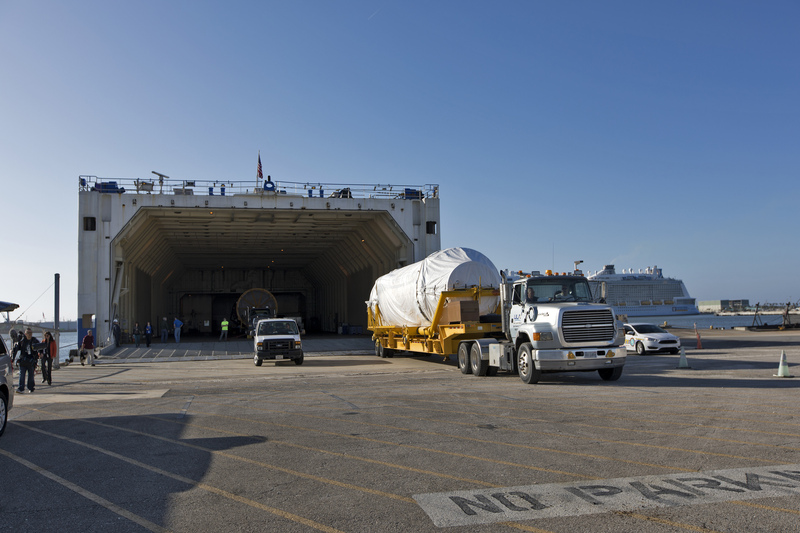 The United Launch Alliance Atlas V booster and Centaur stage for NOAA’s Geostationary Operational Environmental Satellite-S (GOES-S) arrived this week at Cape Canaveral Air Force Station in Florida. The Mariner transport ship delivered the components to the Army Wharf at Cape Canaveral Air Force Station in Florida. The Atlas V booster was moved to the Atlas Spaceflight Operations Center near Space Launch Complex 41; the Centaur was taken to the Delta Operations Center. GOES-S is the second in a series of four advanced geostationary weather satellites. 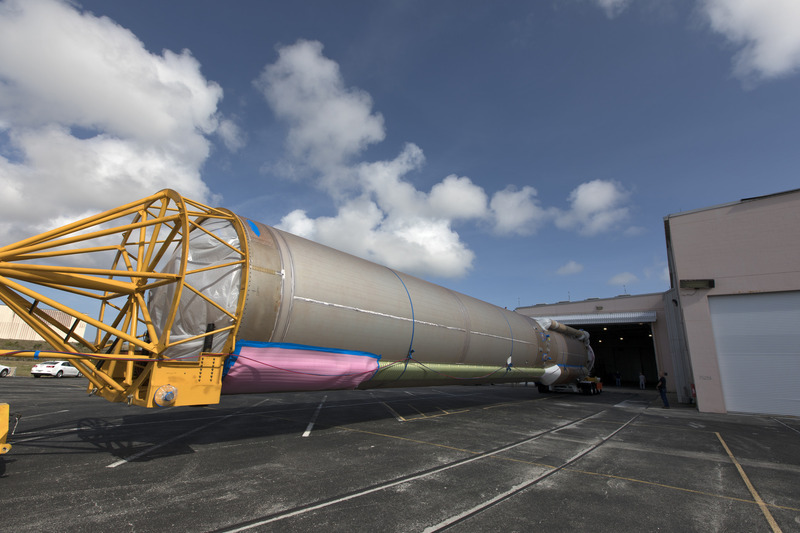 The satellite is slated to launch aboard the Atlas V rocket March 1.